INTERNET YA Review 2019: Is INTERNET YA a Good Hosting? 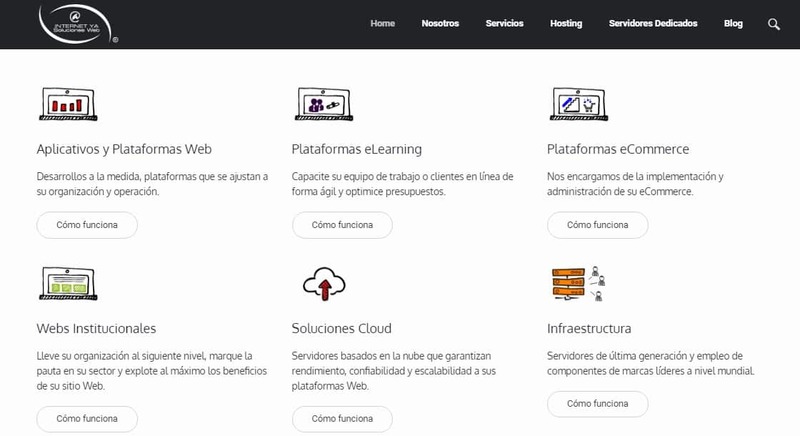 INTERNET YA is a Colombia-based web hosting provider with headquarters in Bogota. It offers high-quality hosting products backed by modern hosting technologies. Among other services, the vendor offers shared web hosting and dedicated servers. INTERNET YA was founded in March 2001 and has offices in Bogota, Colombia. The hosting provider specializes in providing real-time hosting services to its Colombia-based customers including SMEs and big enterprises. The company also has a noteworthy presence in Mexico, Chile, Spain, and Argentina. 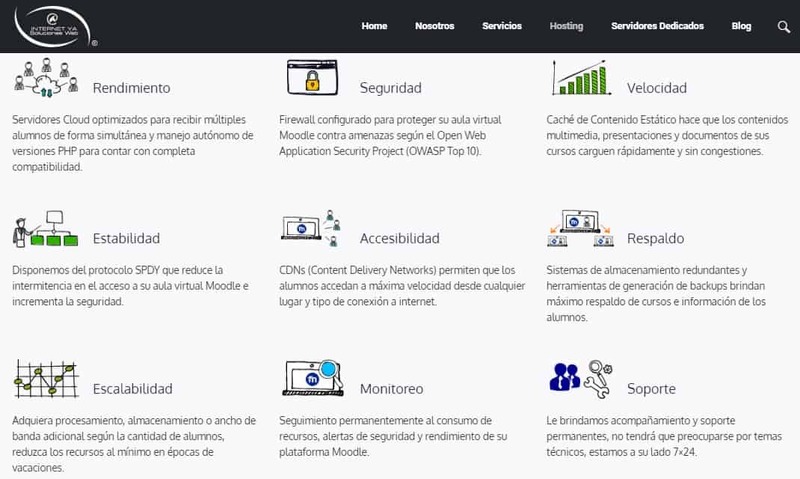 The INTERNET YA website is only available in Spanish. INTERNET YA uses latest generation servers hosted in data centers located in Columbia and the U.S. The servers use components from leading hosting hardware manufacturers the world over. Its hosting solutions are based on both Linux and Windows operating systems and use SSD storage for maximum speed. Unlike traditional hosting vendors, INTERNET YA has several hosting solutions specially designed for learning institutions. Its Moodle hosting package, for instance, is designed for e-learning. The package uses the vendor’s cloud server infrastructure and is excellent for fast-growing e-learning platforms that need easy scaling to accommodate growth. For users who are just getting started with creating an e-learning platform, Chamilo would be more appropriate. Other INTERNET YA hosting packages include e-commerce hosting and application hosting, as well as business and email hosting. INTERNET YA performs regular backups powered by redundant storage systems and backup generation tools. The backup drive has a storage space of upto 1000GB. The vendor’s dedicated Windows/SQL and Linux RHEL/CentOS Servers plans are designed for organizations that require total control of software and hardware components to install their business applications. For novice webmasters, navigating the INTERNET YA website can be quite challenging. Its array of hosting plans can also be confusing to some users. INTERNET YA does not include the prices of its hosting plans on its website. This means that customers who are seriously considering its hosting solutions would have to contact them for pricing. This is an obvious turn-off for potential customers who would want to easily compare web hosting prices from several vendors before commiting to one. All the same, the vendor provides a 30-day money-back guarantee and a 99.99% uptime guarantee. Clients can contact INTERNET YA via telephone, email, or ticketing system. , though live chat support is not available. The vendor says that its technical support desk is available 24/7 yet my support email was never responded to. INTERNET YA has included a knowledge base as well as a blog on its website, too. INTERNET YA seems to have invested in modern data center facilities ready to host business enterprises across Colombia and the U.S. In addition, the vendor has tailor-made hosting solutions where clients only pay for what they use, making its unresponsive support is its greatest undoing. Wondering how INTERNET YA stacks up against other Web Hosting companies? Enter any other Web Hosting company and we will give you a side-by-side comparison.